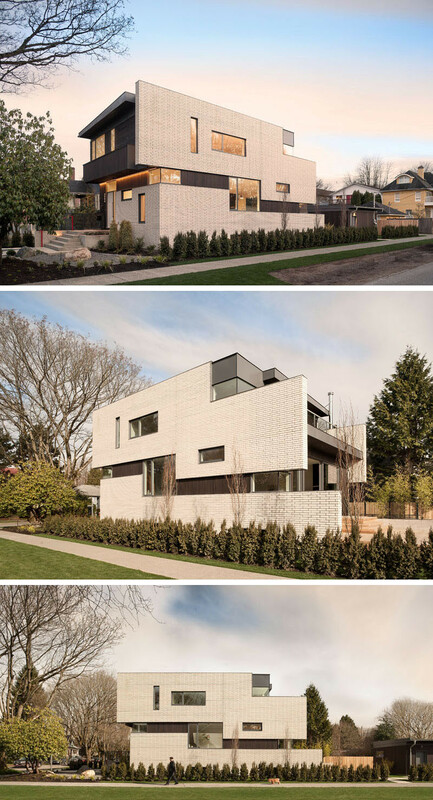 Architect Randy Bens and NRT Developments have completed a new home in Vancouver, Canada. 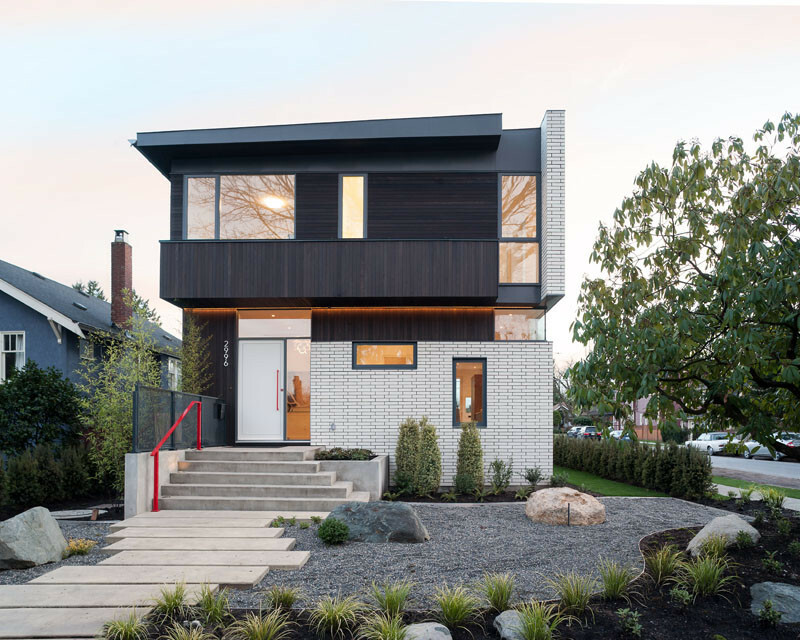 The home has an exterior clad in white brick, dark stained cedar siding, and metal trim. 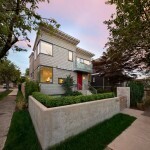 At the rear of the home there’s an outdoor space located directly off the main living area. Inside, there’s an open floor plan with the living, dining and kitchen all sharing the same space. The kitchen island has been designed in a ‘U’ shape, giving the homeowners plenty of space for food prep, and making it easy to socialize while cooking. 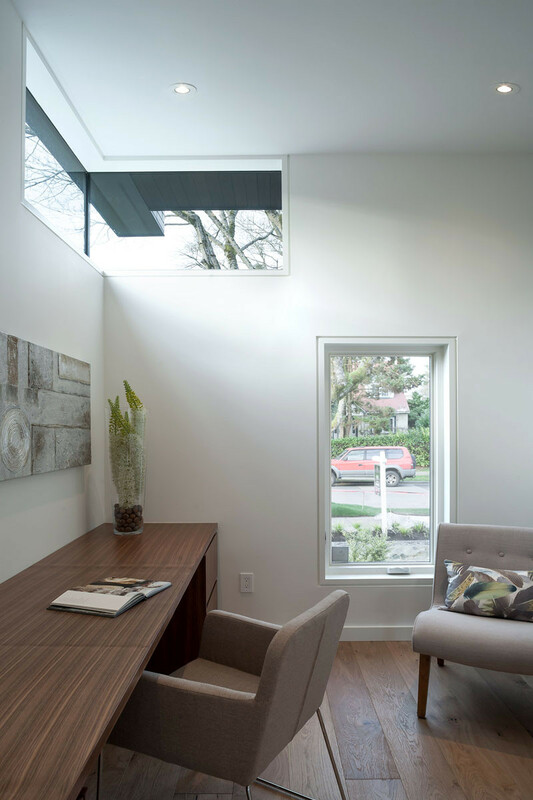 Located behind the kitchen is a small home office, with views of the street. Above the staircase there’s a large skylight centered over the bamboo garden. 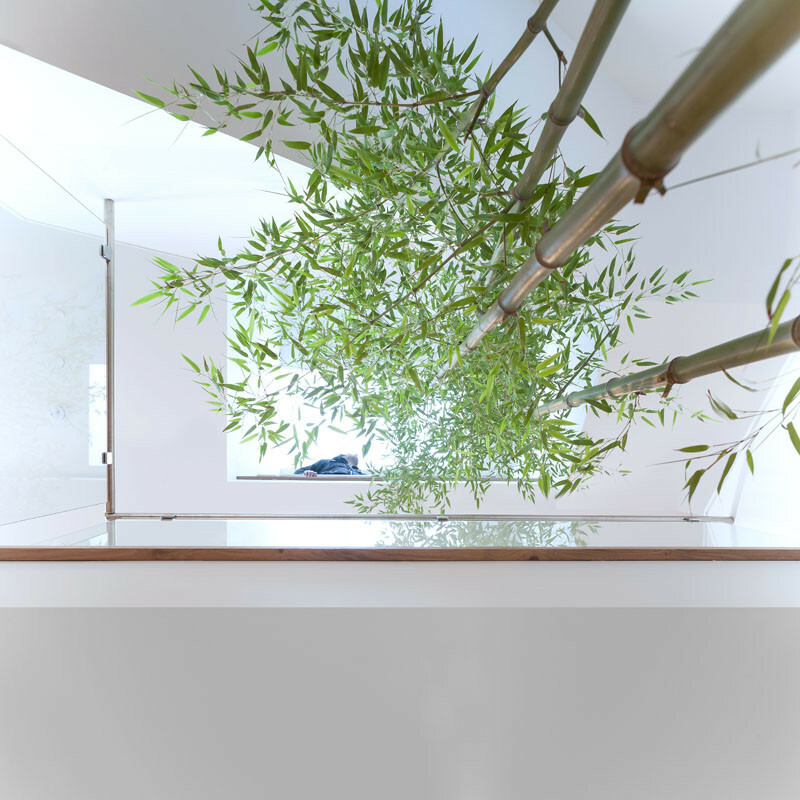 The bamboo rises up from the lower floor and eventually will reach the height of the second floor. 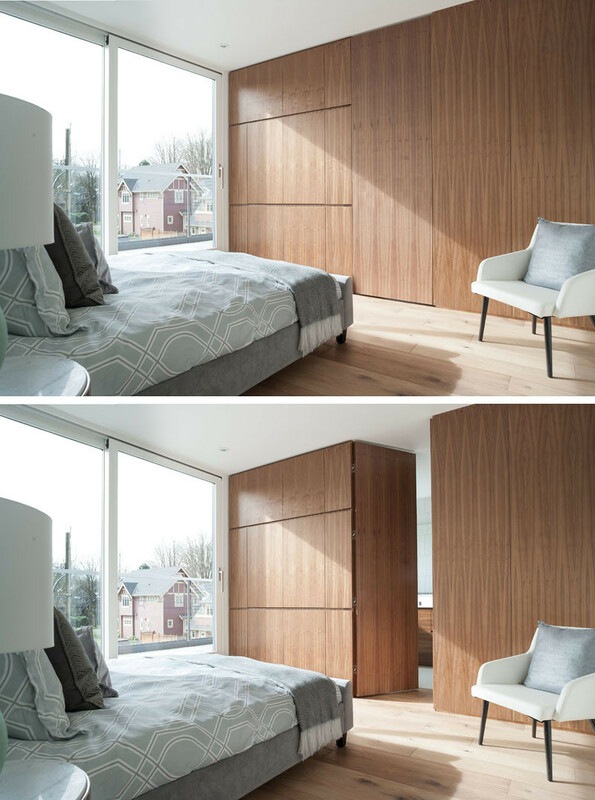 Throughout the home, wide plank oak flooring is contrasted with darker walnut cabinetry and paneling, like in the bedroom. Through a hidden door in the bedroom cabinetry is an ensuite bathroom. 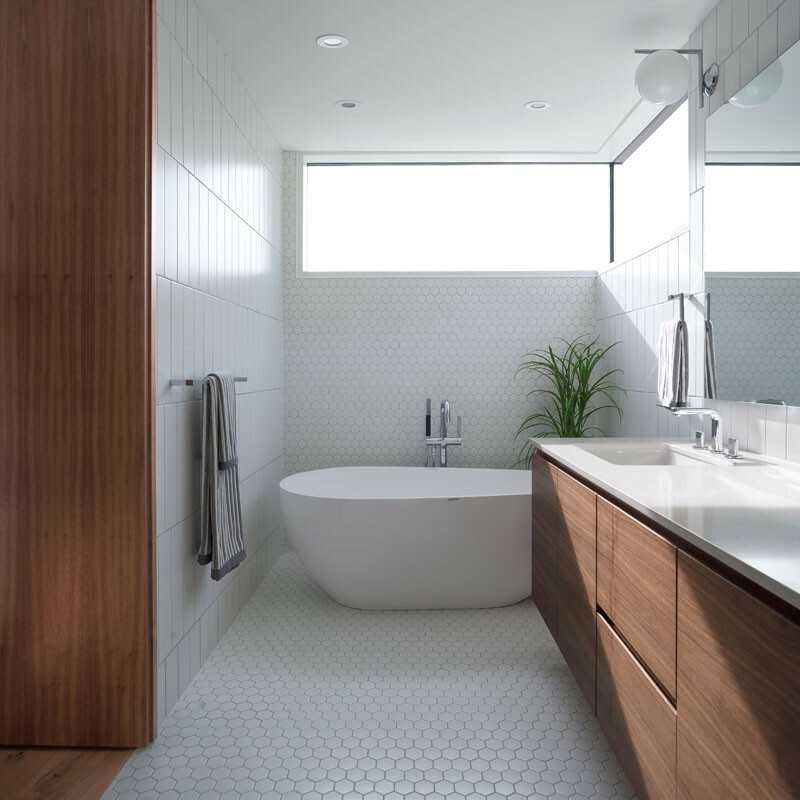 In the bathroom the walnut cabinetry continues with the vanity, and two styles of white tiles keep the bathroom bright.